Gloucester Point Beach, Virginia, is a small, community beach on the north shore of the York River estuary a few kilometers upstream from Chesapeake Bay. 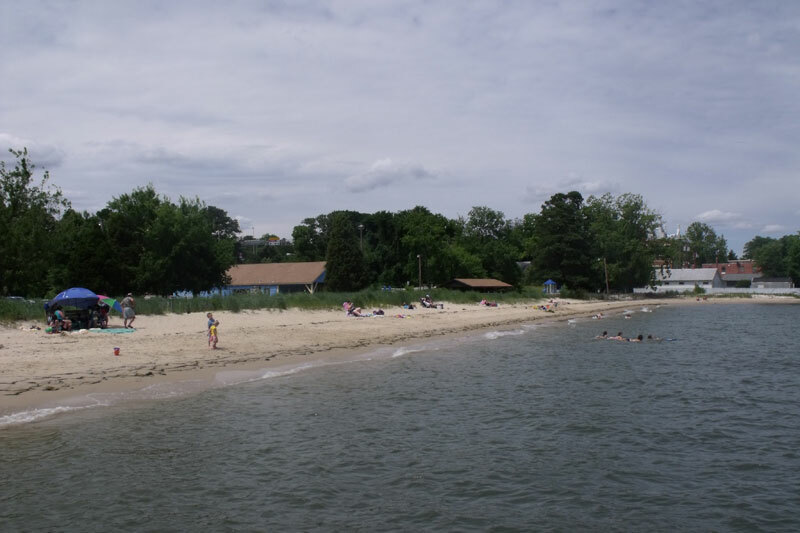 The beach is on the downstream (east) side of Gloucester Point where, along with an adjacent public boat ramp and parking, it is otherwise surrounded by the campus of the Virginia Institute of Marine Science. The beach extends almost 250 m (800 ft) between a stone revetment that with a series of small breakwaters protect the VIMS campus and the groin-like short wall associated with the a boat ramp at the very tip Gloucester Point. It is exposed to wind and waves from the east and southeast with a fetch to the southeast of about 5 km (3 mi) and to the east of tens of km. Mean tidal range is about 0.75 m (2.4 ft). 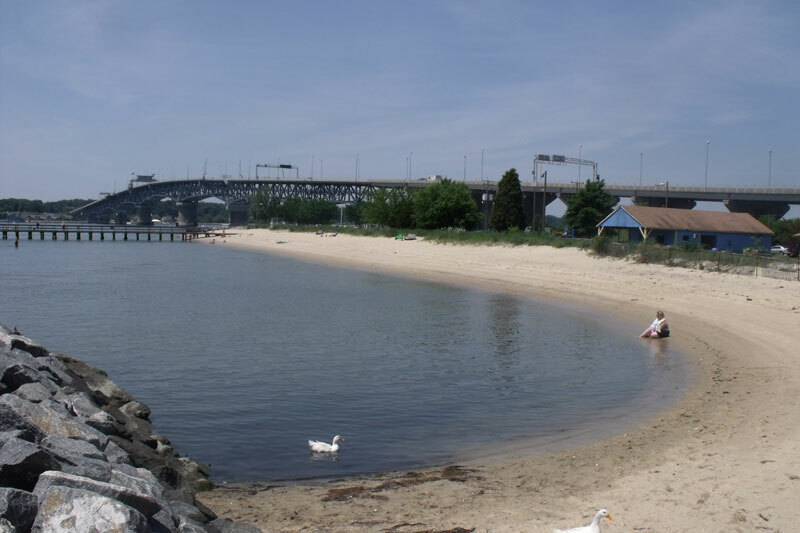 Gloucester Point Beach is managed as a public park by Gloucester County (pop. about 37,000). In addition to the beach there is a 95 m (310 ft) long fishing pier with a 97 m (320 ft) “T” on the end, a small, seasonal concession stand, restrooms, an outside, freshwater shower, an open-sided shelter, numerous picnic tables, and a few pieces of play-ground equipment. There are no lifeguards. 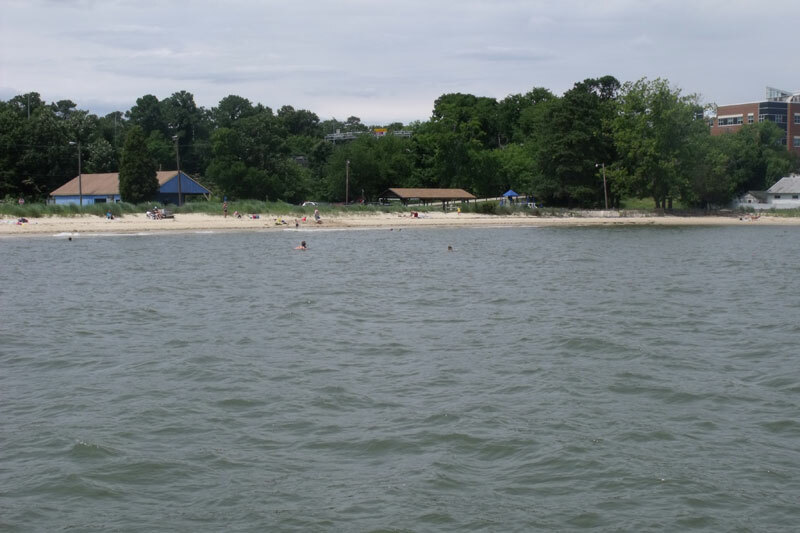 As the only public beach in the county, the park experiences extensive daily use through the summer months and on sunny weekends in the spring and fall while the water temperature is comfortable. The pier is used throughout the year. Immediately southward of the southeast (boat ramp) end of the beach, the submerged river bank slopes very steeply to a depth of about 12 m (40 ft) within a few meters to depths in excess of 18 m (60 ft) fairly close to shore. The beach angles away from the channel so that at the fishing pier, about half-way along the public beach the ~-2m (-6 ft) contour is approximately 90 m (300 ft) offshore. 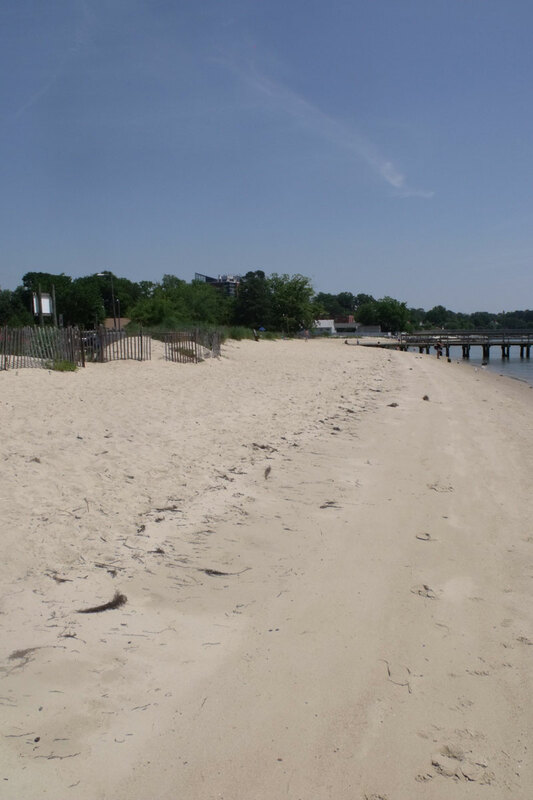 The constriction of the York River between Gloucester Point and Yorktown contributes to the beach’s other potential hazard: an average ebb current of 1.6 knots (0.8 m/s). With a strong northwest wind, the ebb current can be substantially stronger. Fortunately, most of the visitors to the beach prefer the portions of the park farther away from the point itself. Gloucester Point is the down-drift end of a coastal cell. The rigid side of the boat-ramp near the tip of the Point serves as a groin keeping the sand from flowing into the York River’s deep channel. The small breakwaters and the revetment immediately up-drift of the park’s beach were constructed a few years ago. As yet, they have no apparent negative consequences on the public beach. As the beach is situated between artificial headlands and there is no regular swell, storm waves are the major, perhaps only substantial, agents of change. The park is inundated about once a year by high water resulting from a tropical storm or nor’easter. 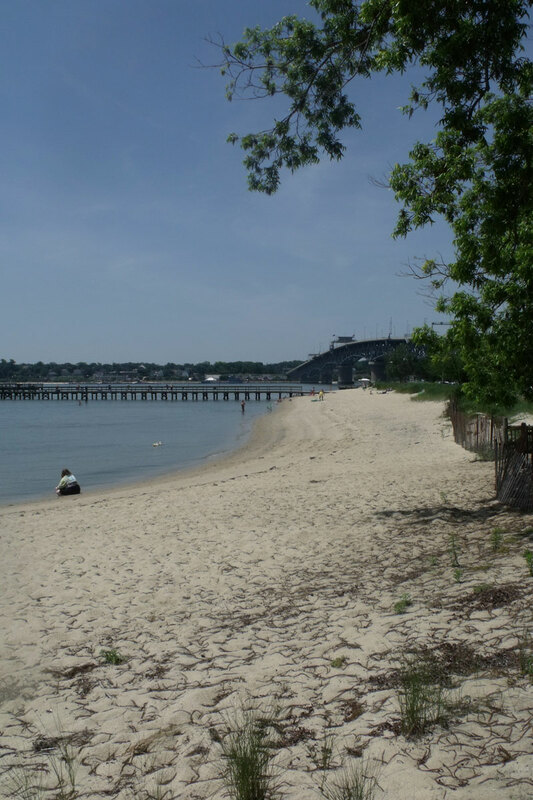 Though not exceptional in either a geological or esthetic sense, Gloucester Point Beach is an excellent example of a well-used community beach. It is a major recreational asset to the locality. As is the case in many areas, public access to the shore is severely limited so a community beach, such as the one at Gloucester Point, serves an important function.